Welcome to Tech- Ed Equipment Company, Manufacturer and Exporter of Laboratory Testing Equipments. The company was incepted in the year 2001, at Bengaluru. Our Good financial position and TQM make us stand apart from also-rans. Excellent logistic support, Experienced and expert manpower make us the first choice of our clients. Automobile Diagnostic and Mechanical Engineering I C Engines Labs are some of our products. 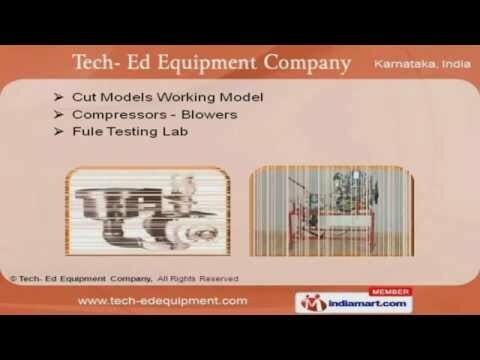 We offer a vast range of Cut Models Working Model and Fule Testing Lab that are best in the industry amongst others. Convection, Refrigeration and Air Conditionings offered by us are superior in performance. Our Radiations, Boiling and Condensations are widely acclaimed in the market. We offer Strength of Materials Labs and Lab Equipment that are acknowledged for their functionality. Along with that we offer Chemical Engineering, Fluid Mechanics and Machineries that are a class apart.